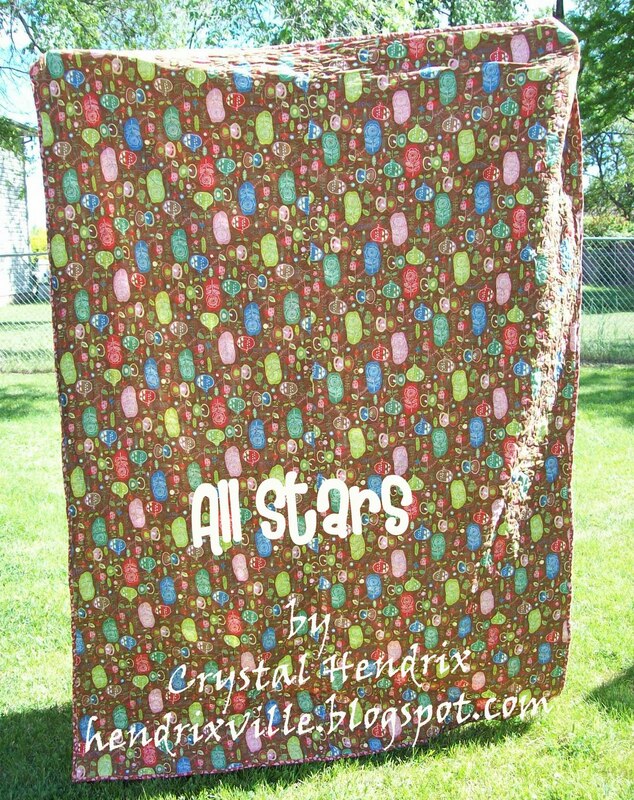 Hi, it’s Crystal over at Hendrixville.blogspot.com. I am pleased to give you my second Moda Bake Shop Project! I don’t know about you, but I have been in a big star phase and have been making them all over the place! 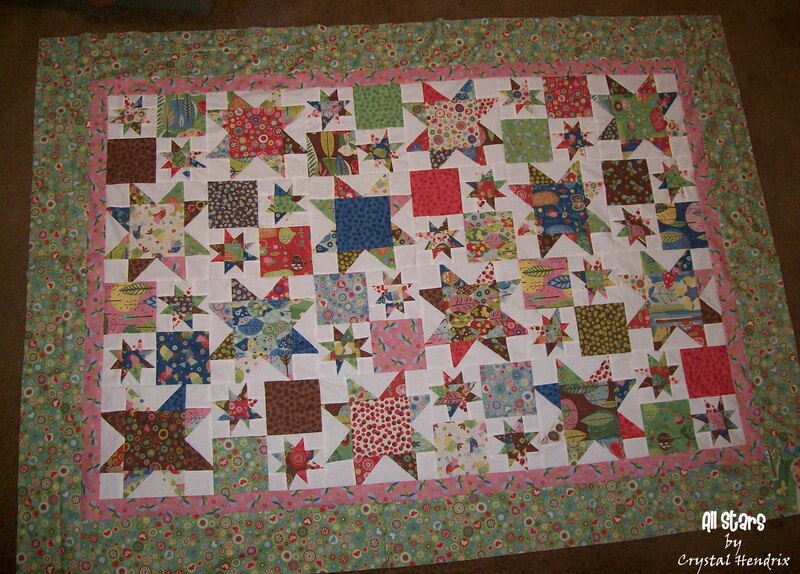 So this quilt came together very easily! *You will have extra left over from your second layer cake and if you don’t want too many extras, a layer cake and a charm pack will work. 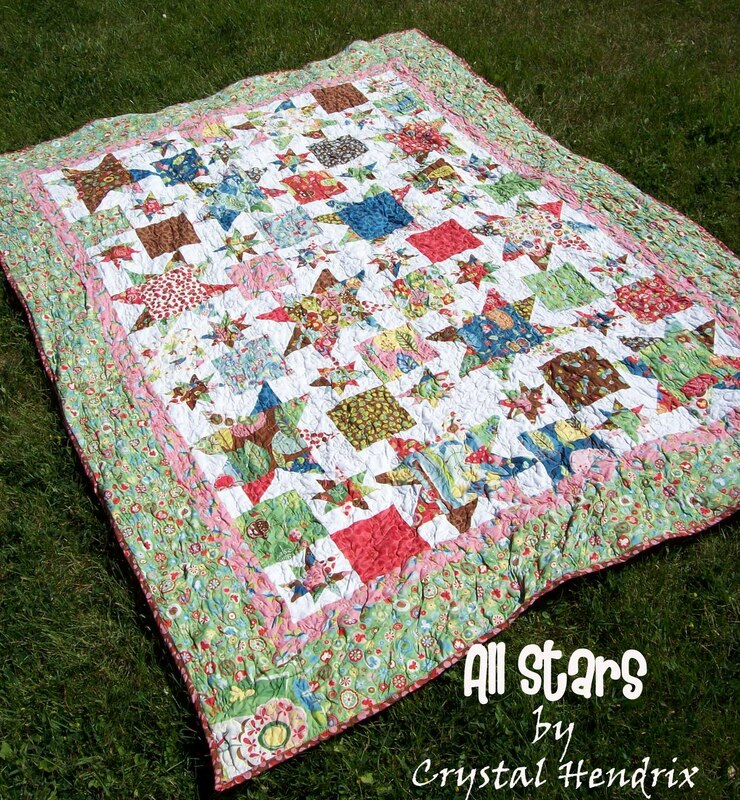 For this quilt, there are two different 12 1/2″ blocks. 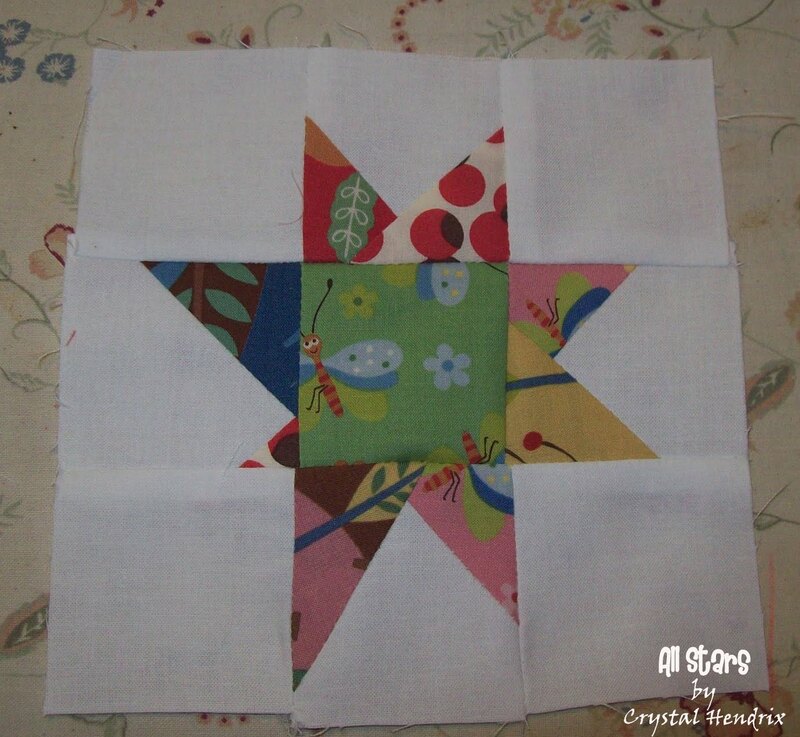 Lets begin with the small stars block. The little star will become a wonky star. 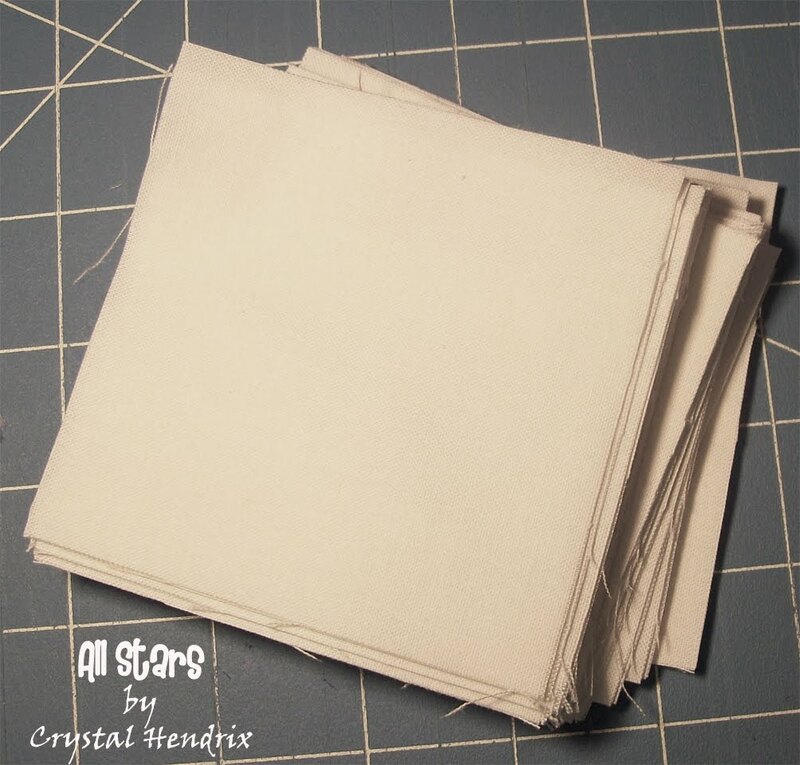 If you like a non-wonky star, feel free to line up the fabric and sew a more even line. 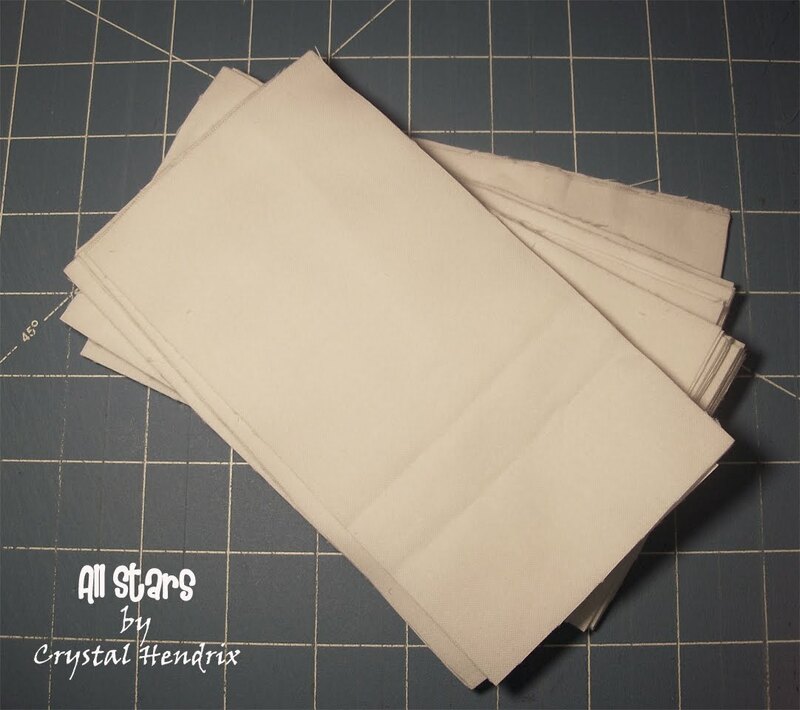 I found for the wonky star, different size points make it more interesting, so for a little point, have a little bit of white showing and so forth. 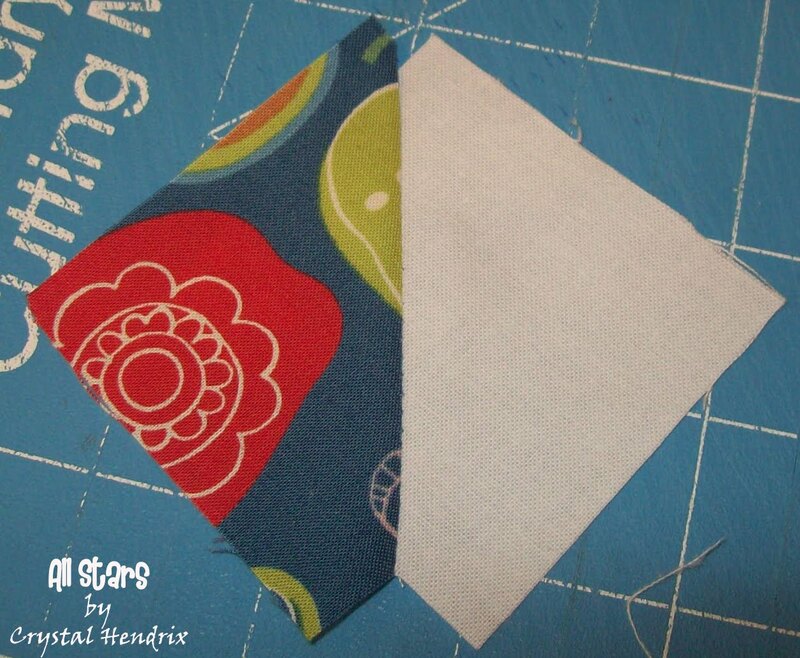 Since this is wonky, only sew down the corner. 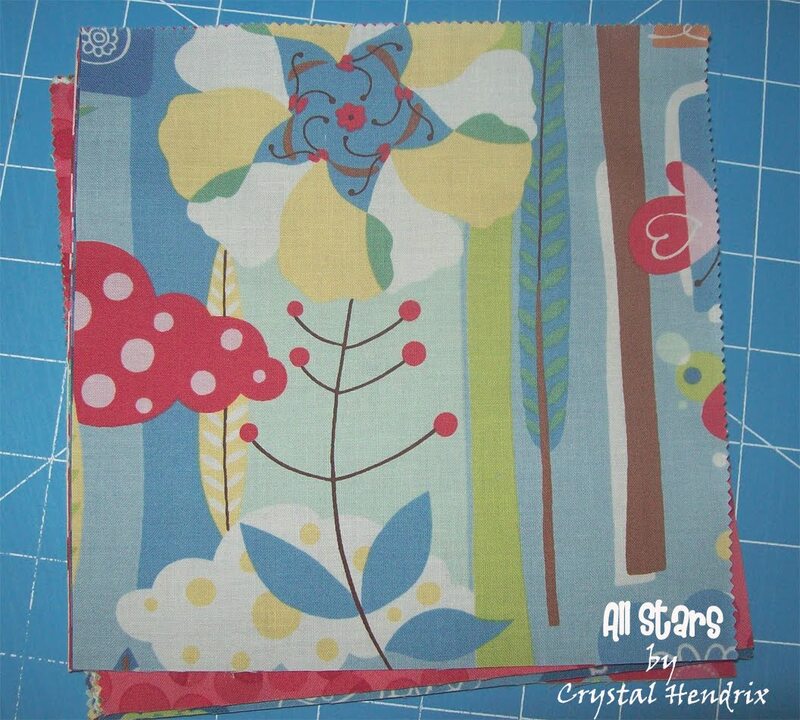 You can align and sew your fabric like either photo above. Try both and get a feel for your preference. 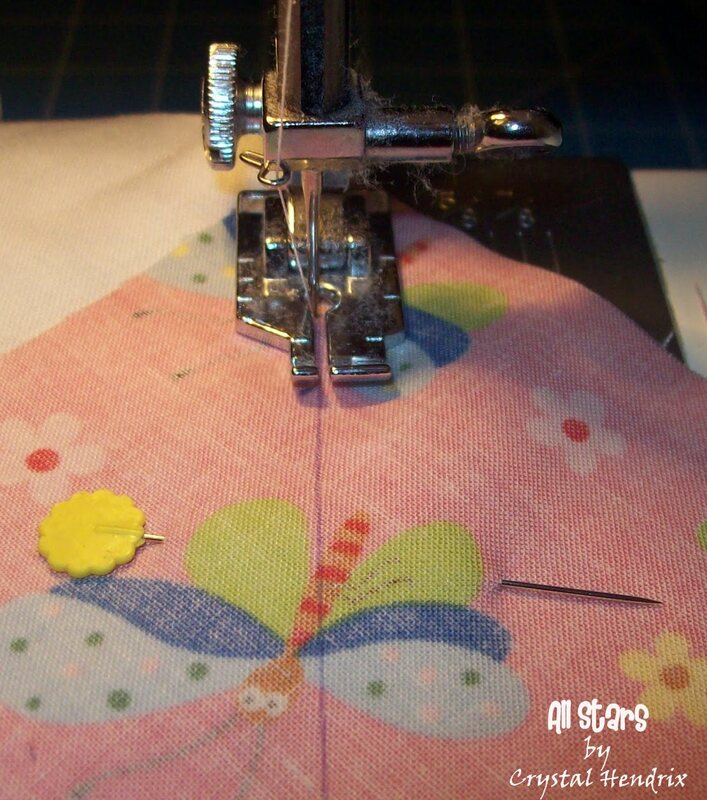 While sewing, chain stitch so you don’t waste thread (it’s also a lot faster). 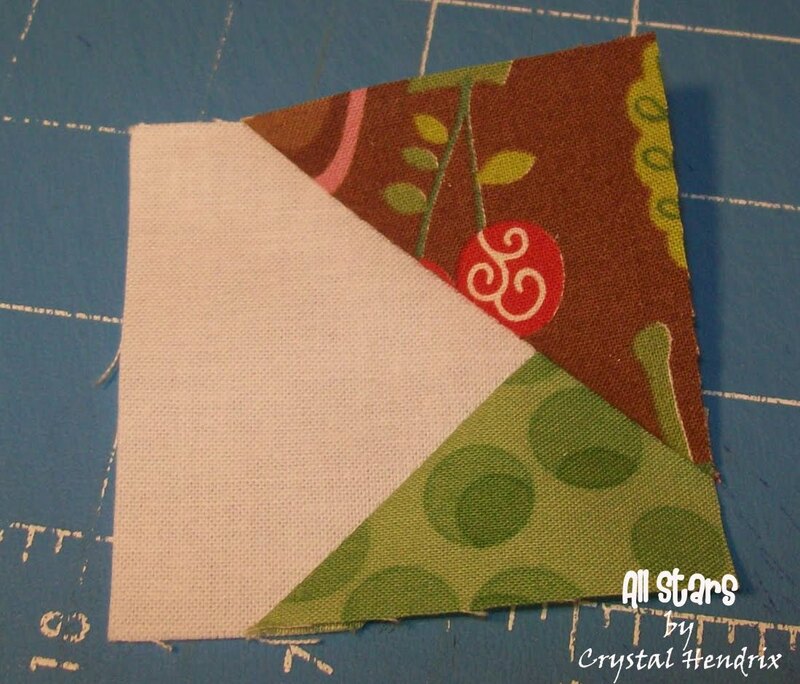 Turn block over and trim to the white square. Open back up so you can see your stitching. 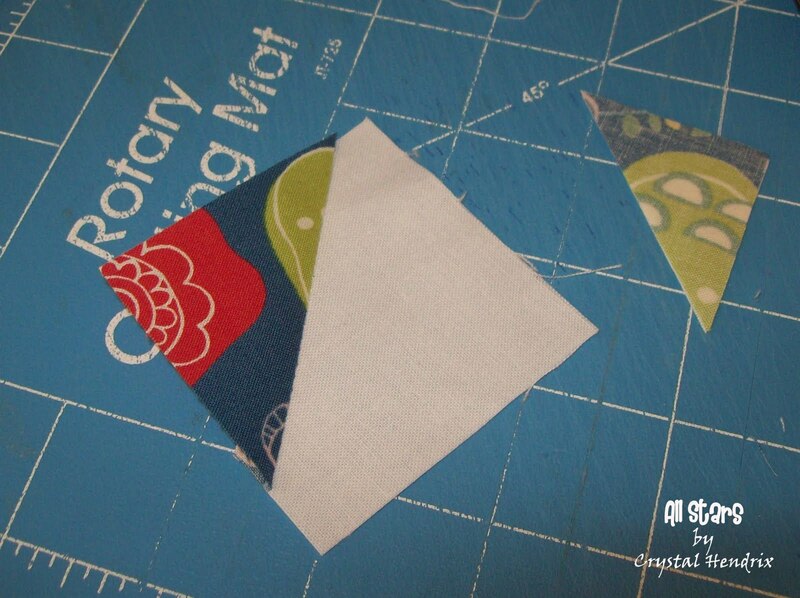 Cut 1/4″ away from stitch line. When making your points, make sure you pull out 24 colored squares and 96 white squares. 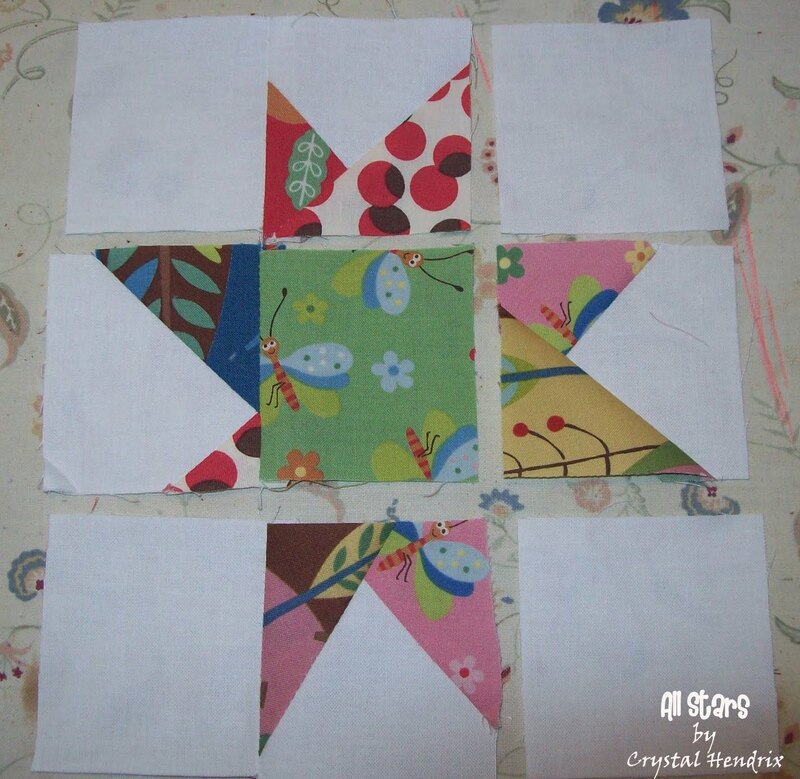 You will use these to complete your little square block. 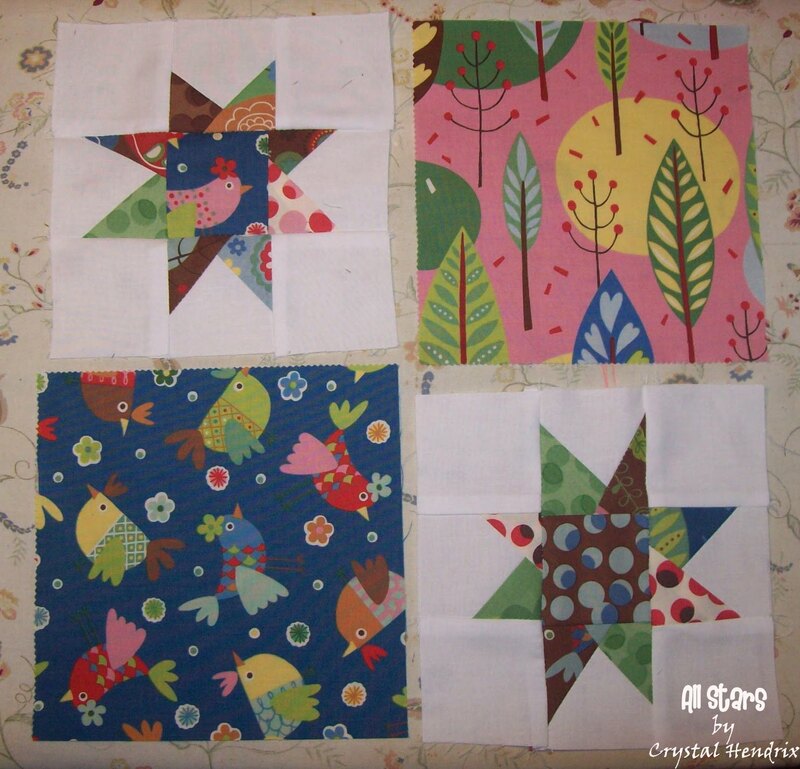 I like to lay out my block like this so I can make my fabric line up the best. 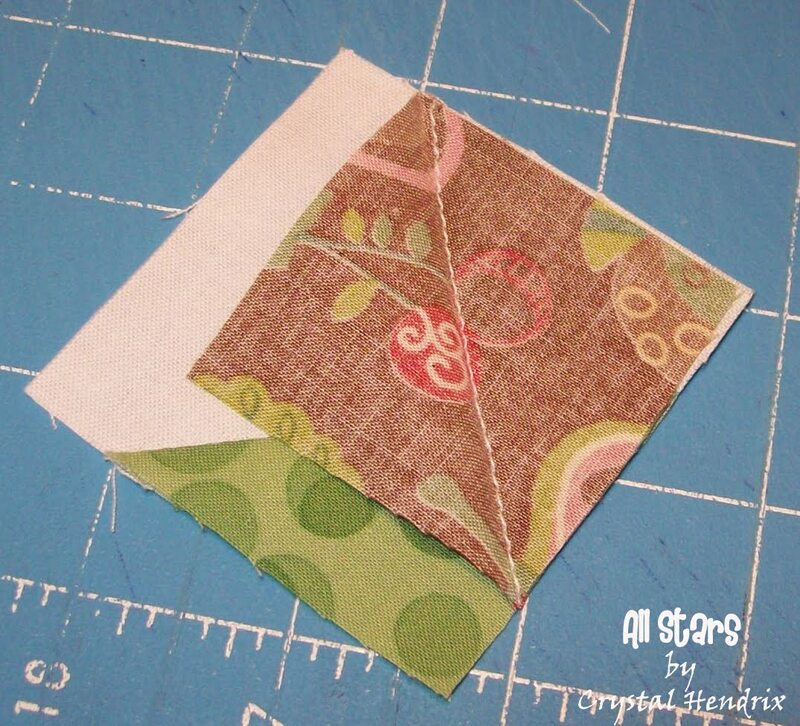 After you sew press to one side, this will make sewing the different rows together easier. There you go, you should have a total of 24 little square blocks. You will now make 12 of these blocks. 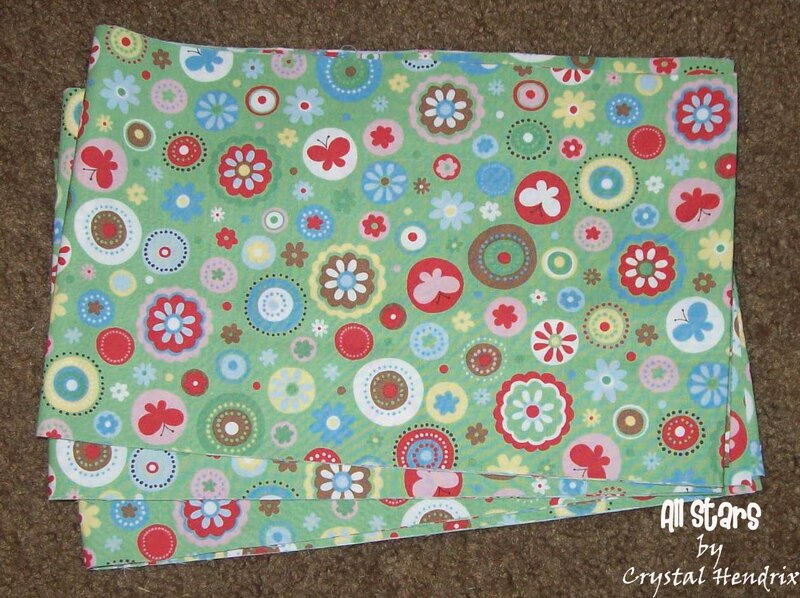 Once again, lay them out to align fabric. I try not to get too many blues, browns or pinks together (you give it more of a variety look by doing this). 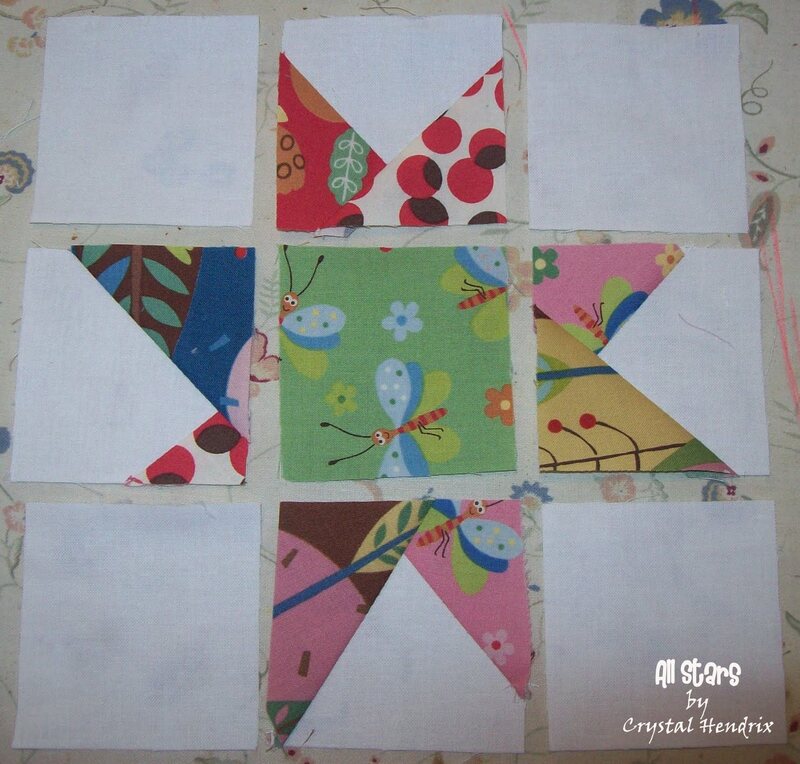 Make sure you press once you sew two of the blocks together. This will also help align your seams nicely. 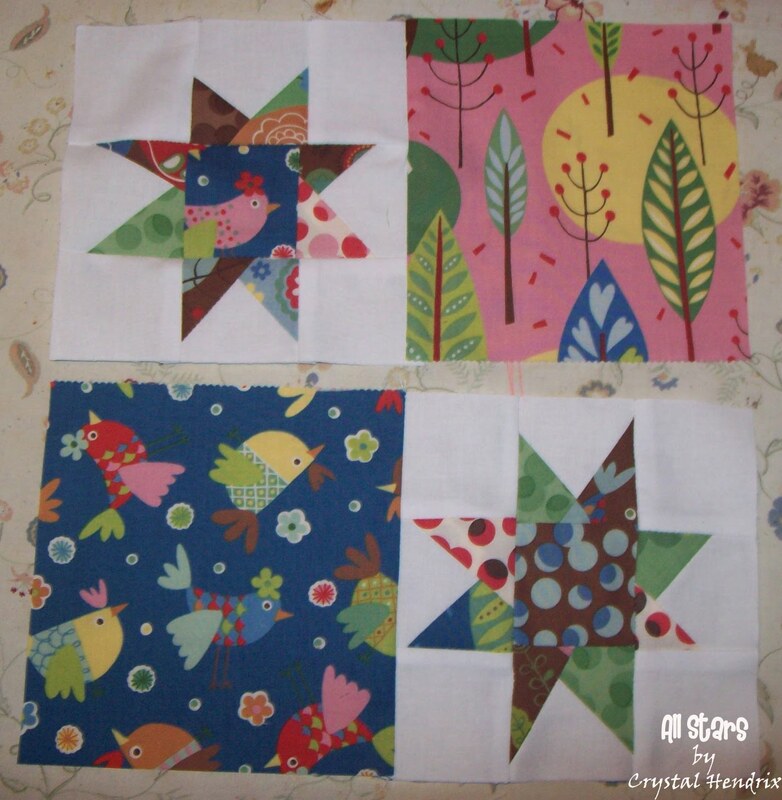 This will now yield 12 little wonky star blocks. 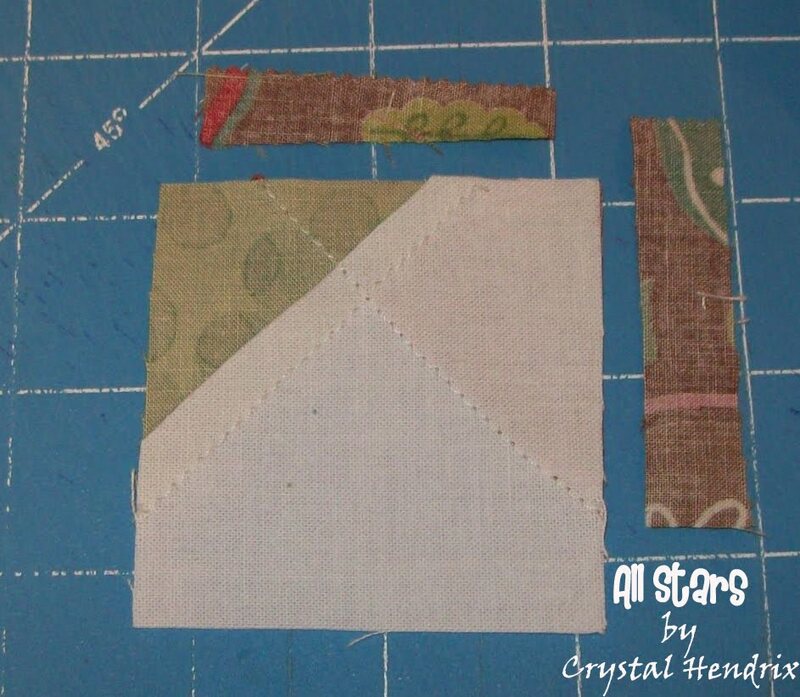 With your 3 1/2″ squares, make a diagonal line on each block. You can skip this step if you just want to eye ball it, but to be safe I took the time to draw the lines. 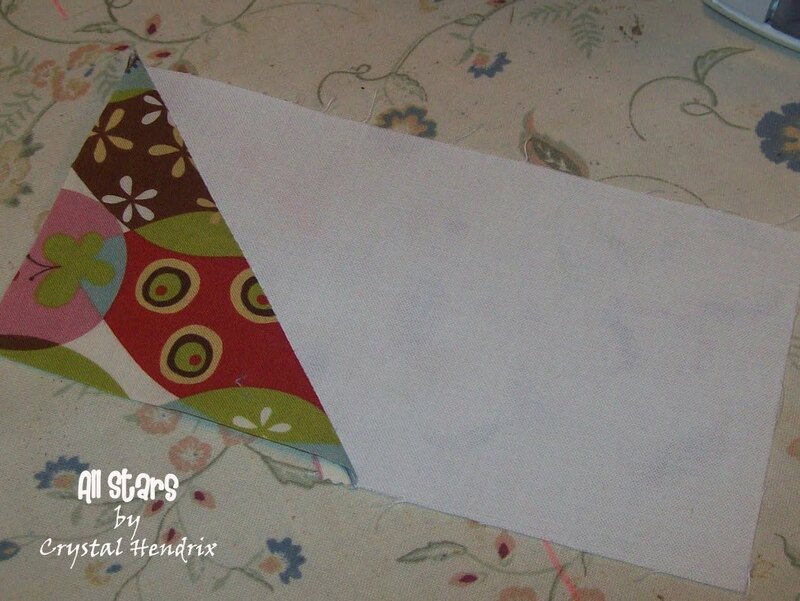 After drawing the lines, add one block to each of your 3 1/2″ x 6 1/2″ pieces and pin. Make sure that the diagonal line is going from the middle of the block and out. I decided to make this more of a traditional Maverick star, but feel free to make it wonky like your little stars. Sew directly on the line. 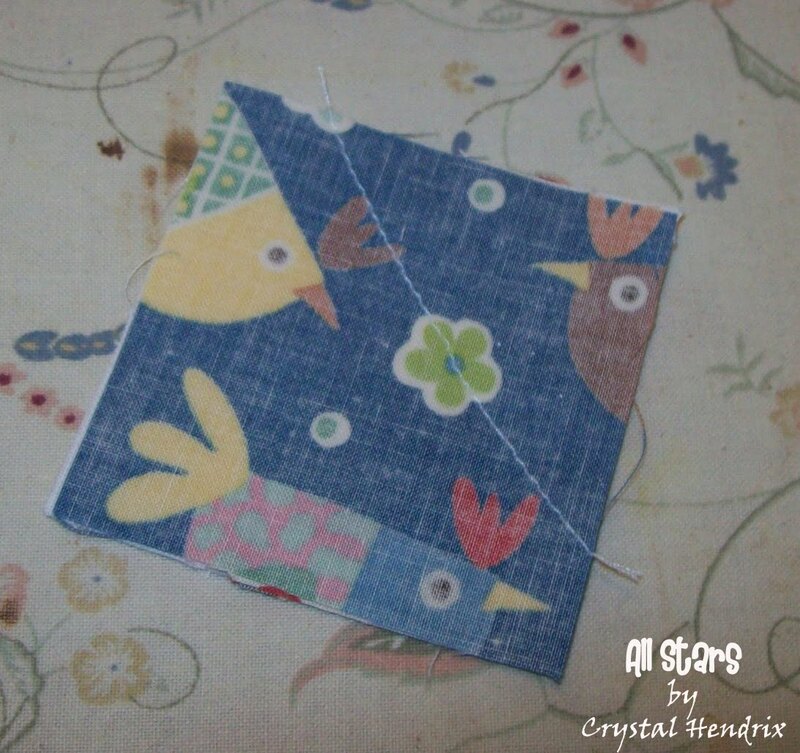 I also with this did a chain stitch with them to make the process faster. 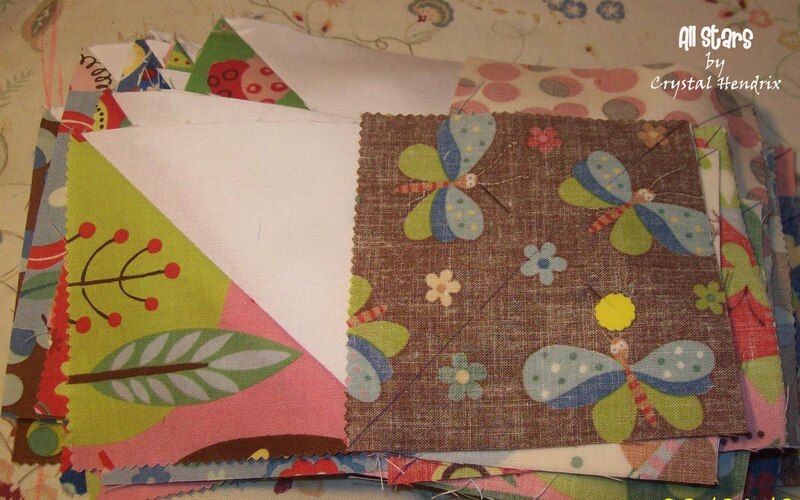 Once one side is all sewn, trim 1 /4″ away from stitch line. Press open. This is a VERY important step. 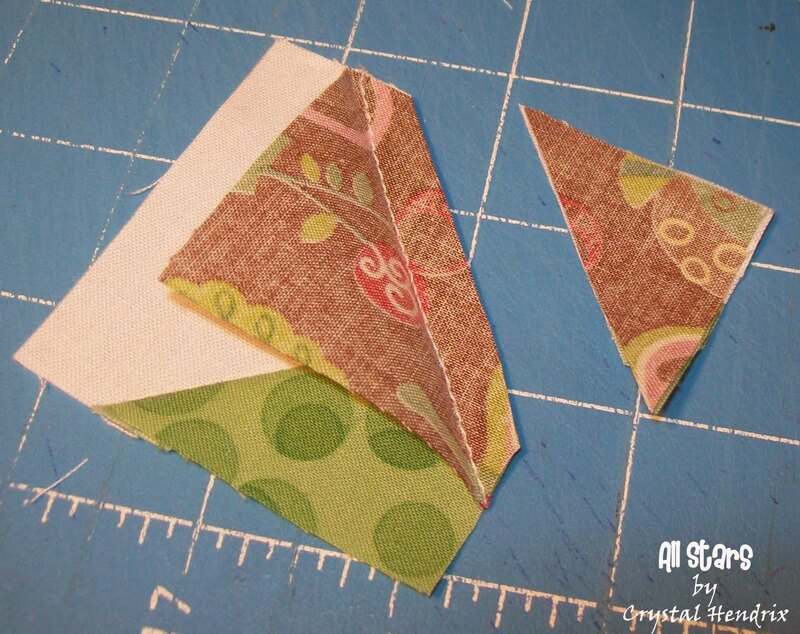 If you don’t do this, your points will not open up after you add your second square. 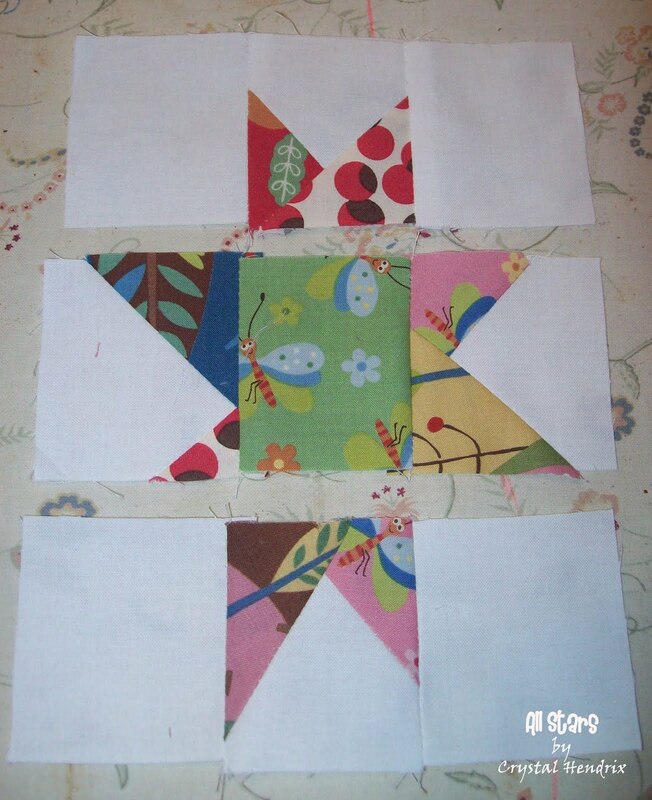 When they are all pressed open, pin the second square on, once again make sure the diagonal line goes from the middle and out. Trim again 1/4″ away from stitch line. 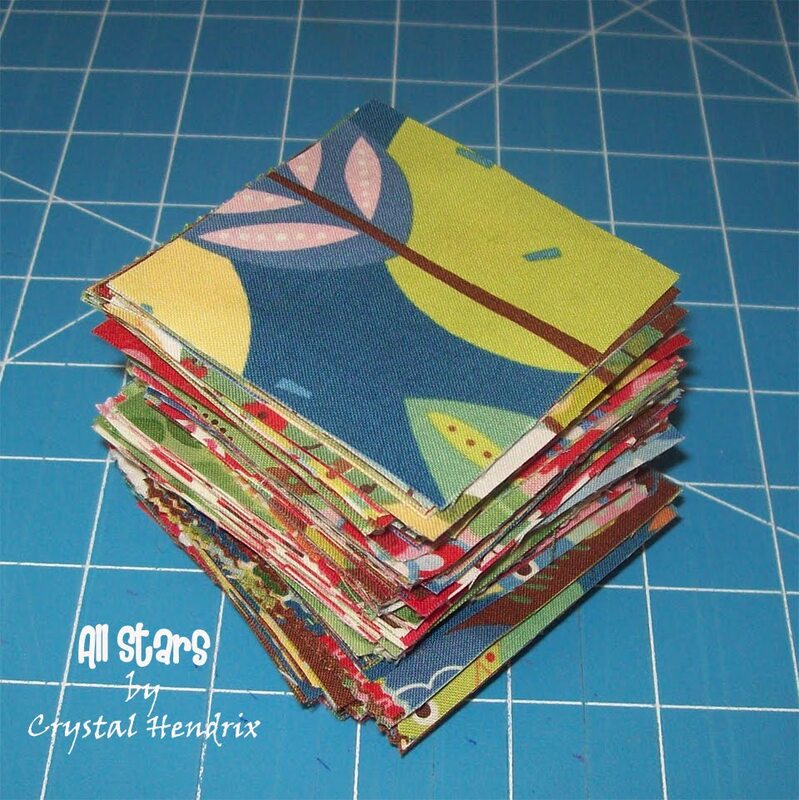 Now take your 6 1/2″ squares and your 3 1/2″ squares and align them accordingly. 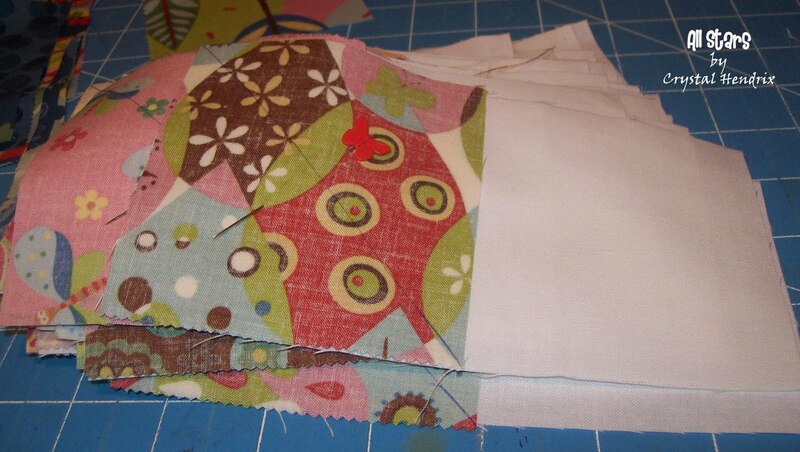 When your rows are sewed together make sure to press to one side to help the seams align. 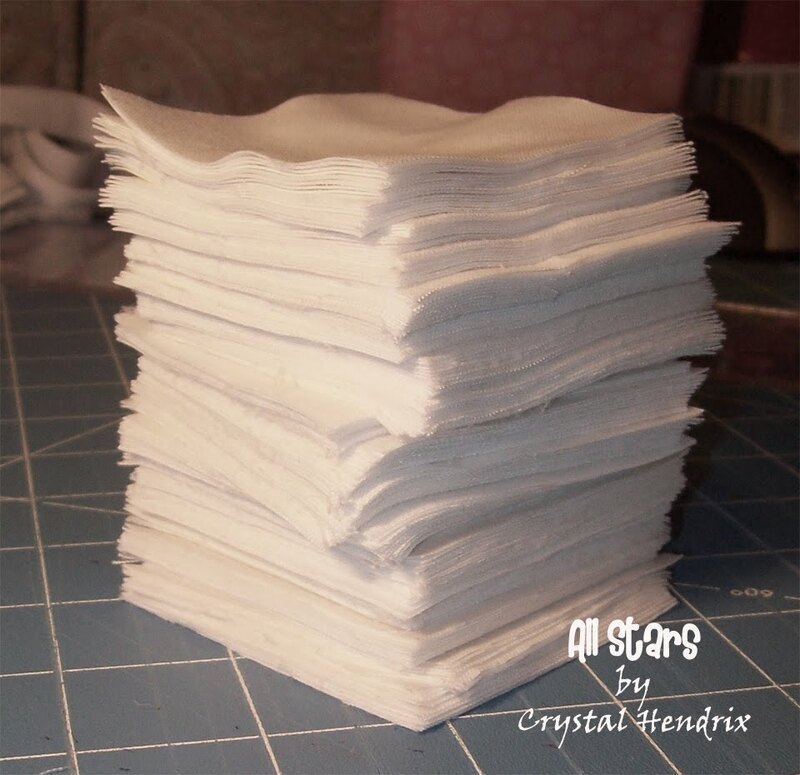 You will need 12 big star blocks. 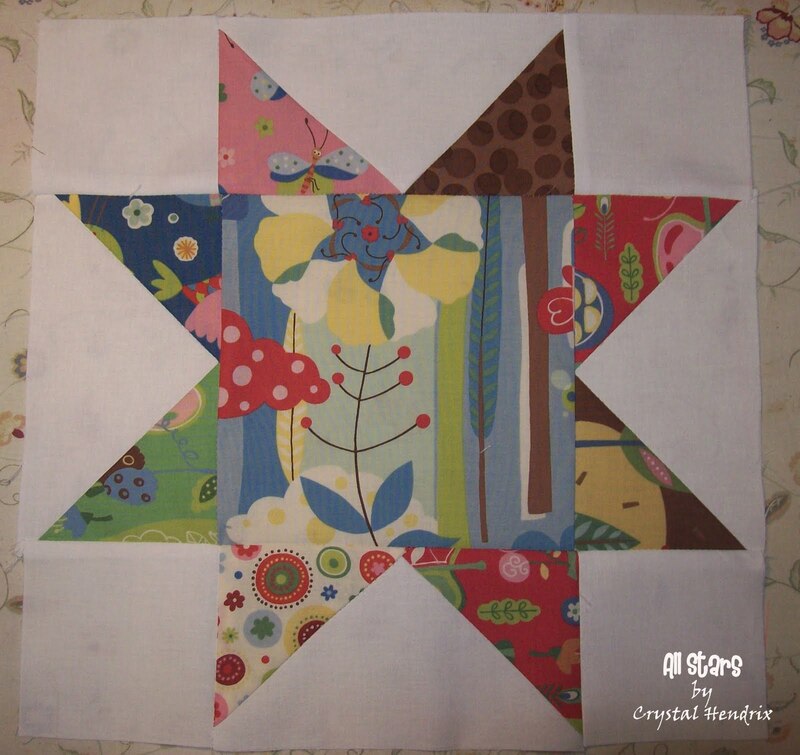 (At this point because my seams were not 100% perfect I had to trim my blocks down from 12″ to 11 1/2″. 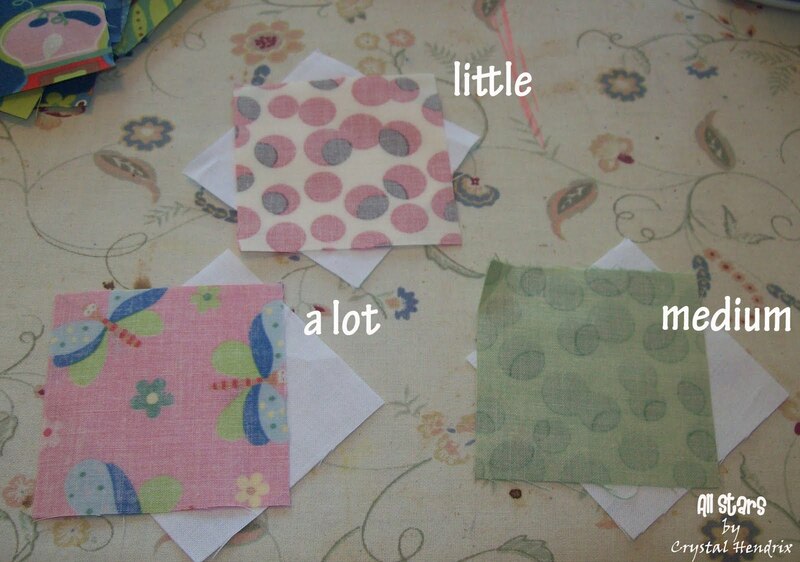 Even though your quilt will be slightly smaller, this is a VERY good idea. 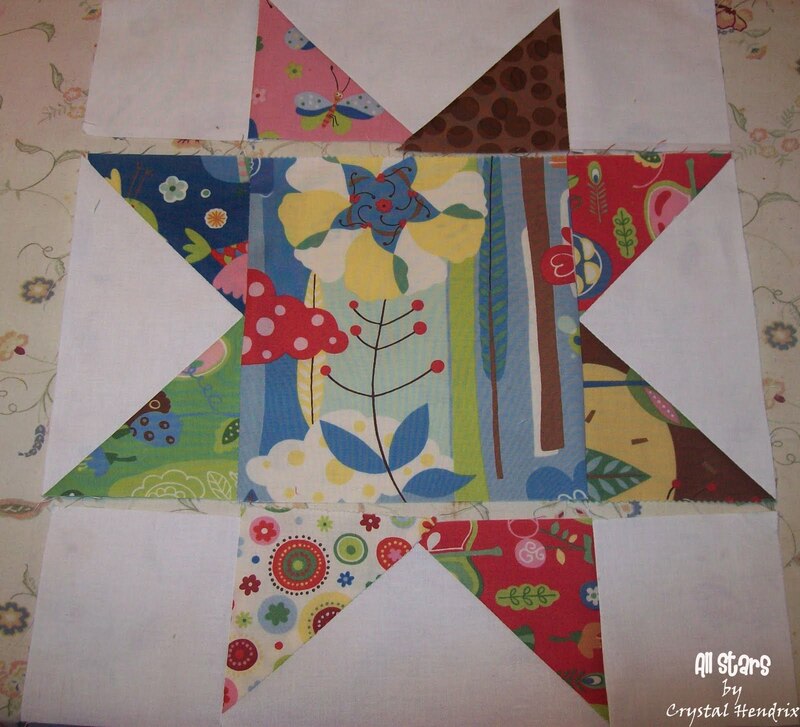 Not only will piecing your top together be easier, it will also make your quilt lay flatter once you have finished quilting it). 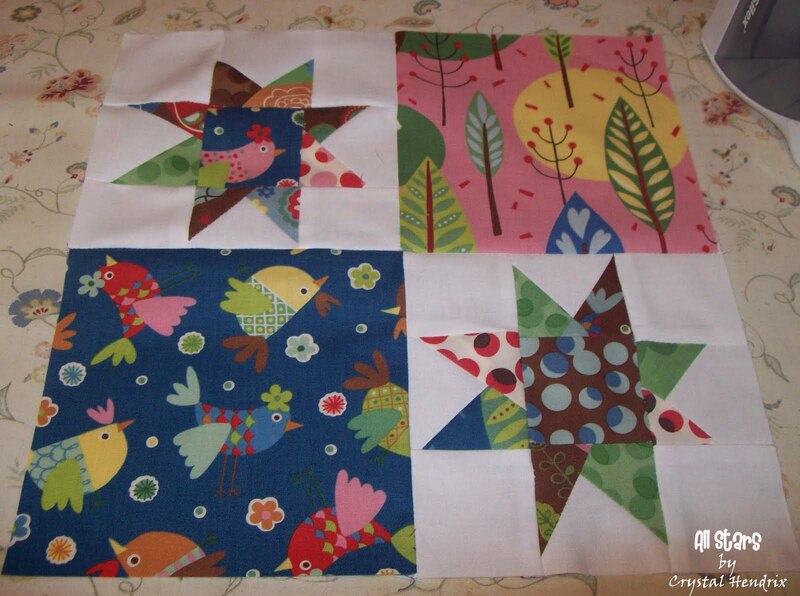 Go ahead and lay out your blocks in a design that you like. 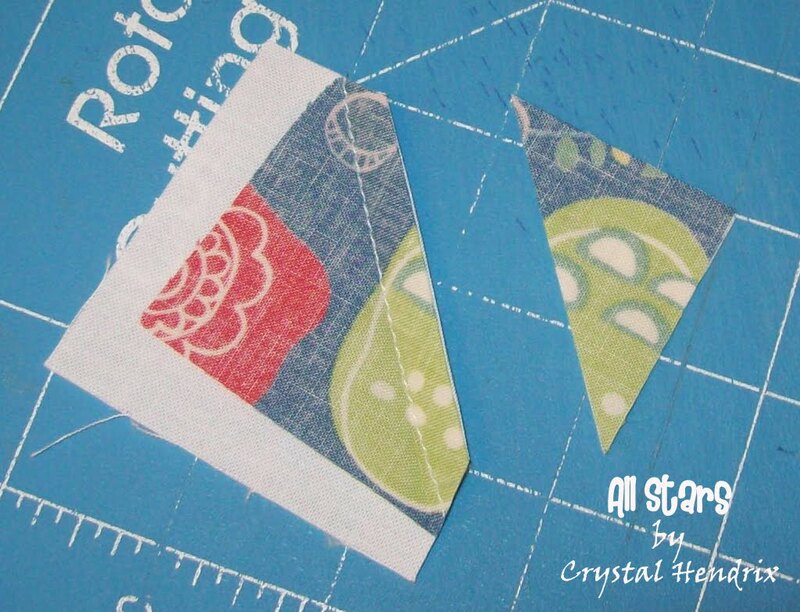 Sew and press all of your seams (to the side or open). 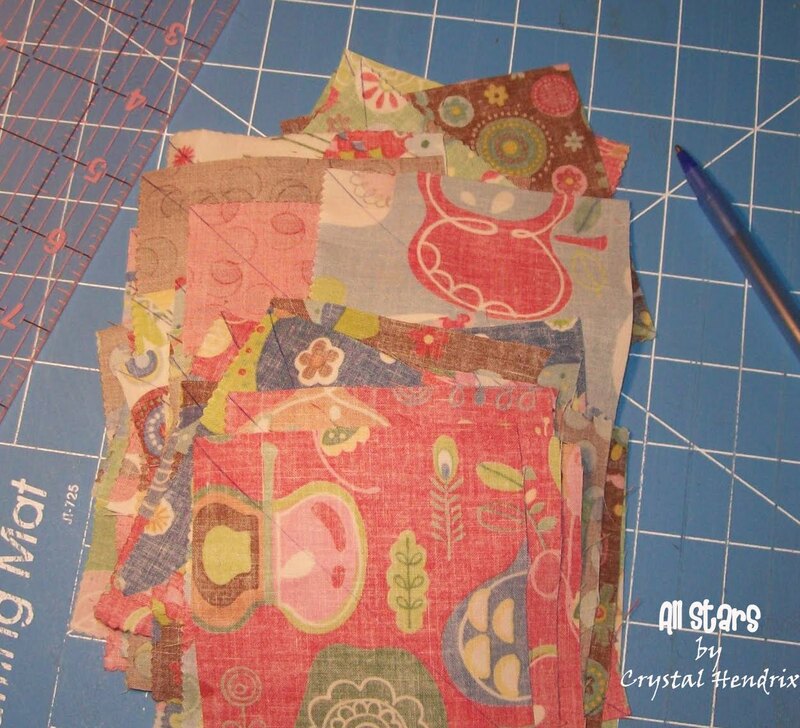 Now take your pink fabric and cut it into 2 1/2″ strips. 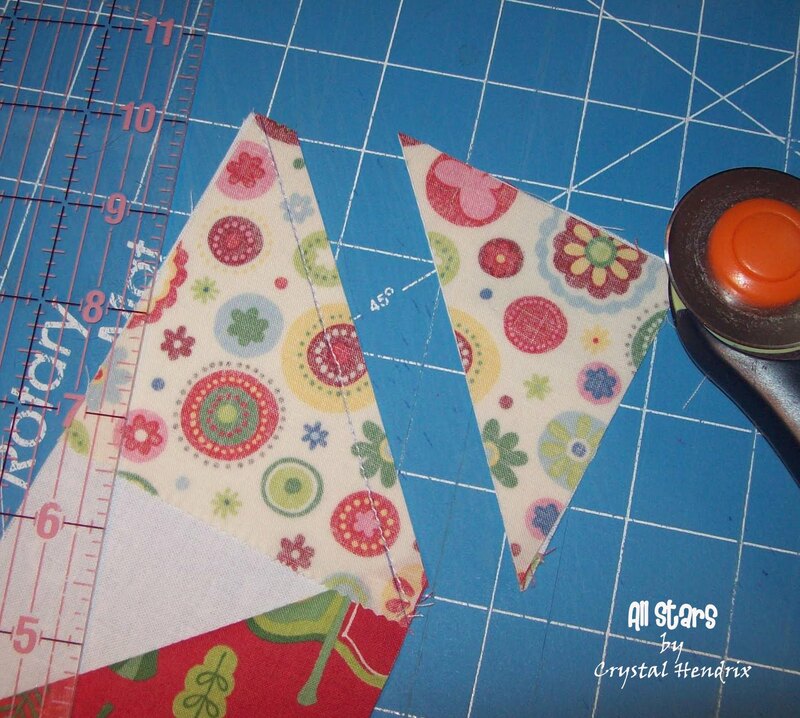 Sew two of your strips together to make one side. 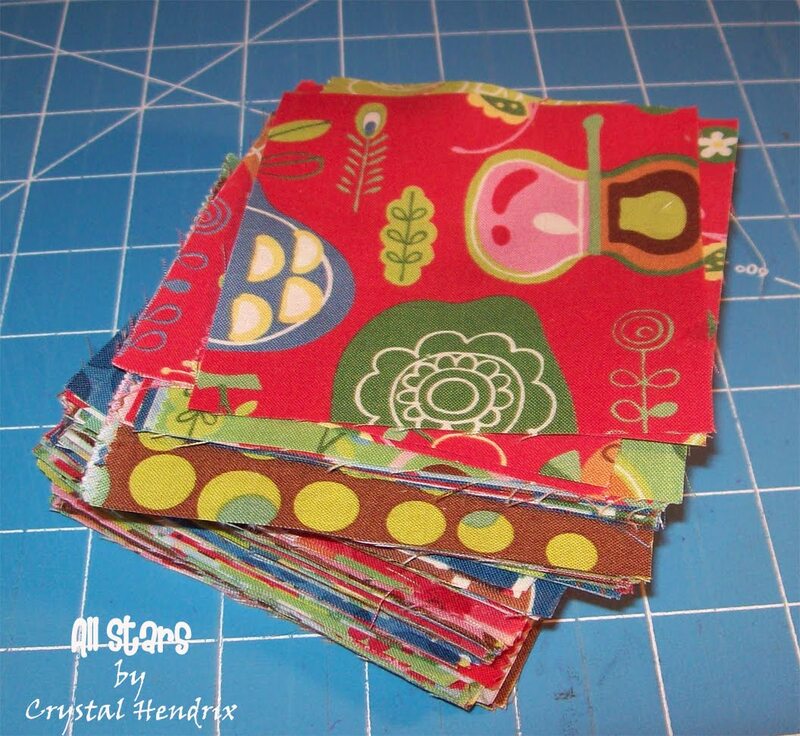 You will need (8) 2 1/2″ x 44″ strips for the borders. 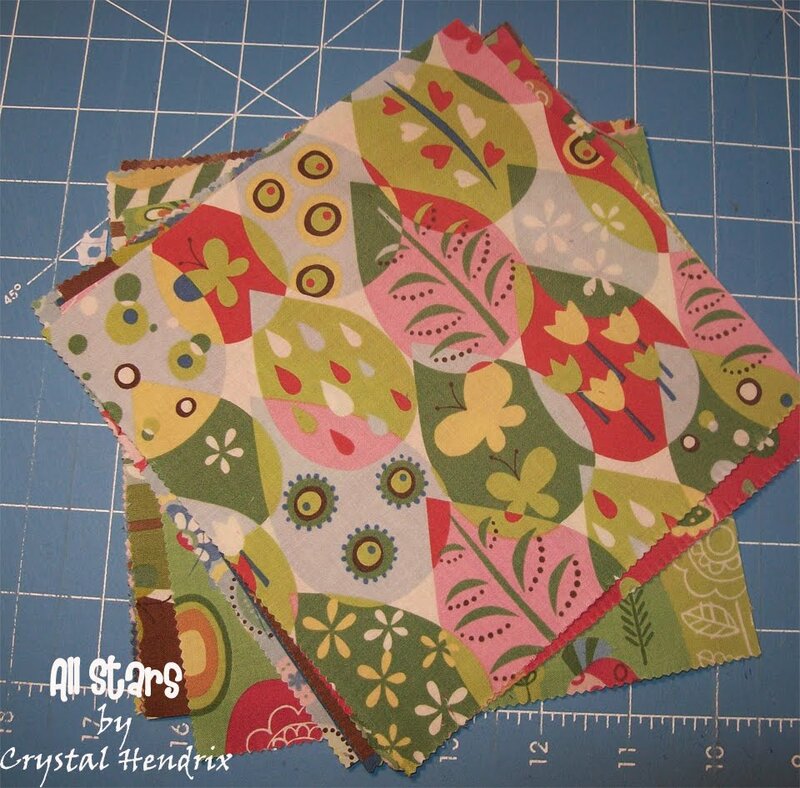 Now cut your 2nd border (green) into (8) 6 1/2″ strips. 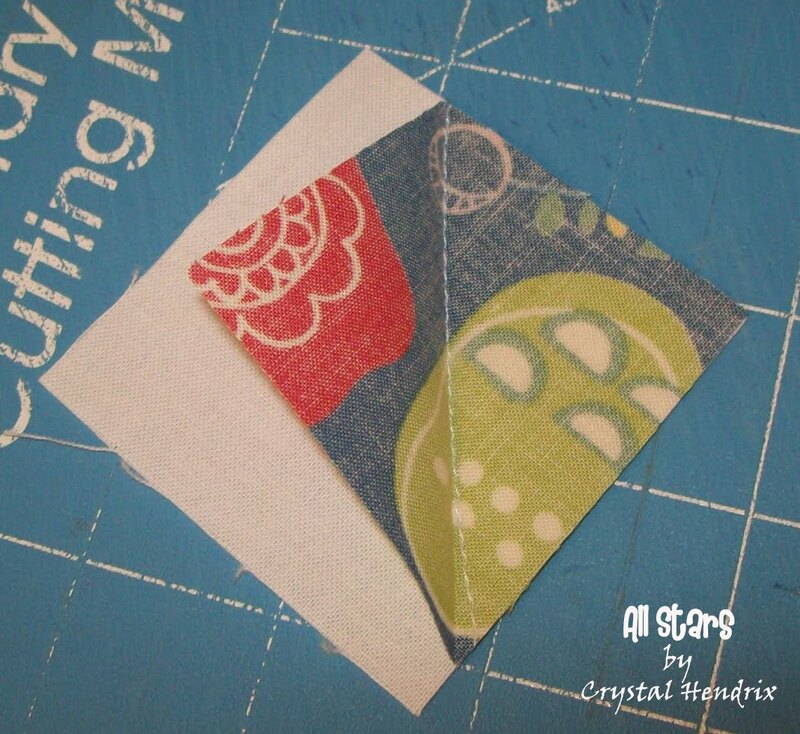 Sew two of the strips together like you did with your first border. 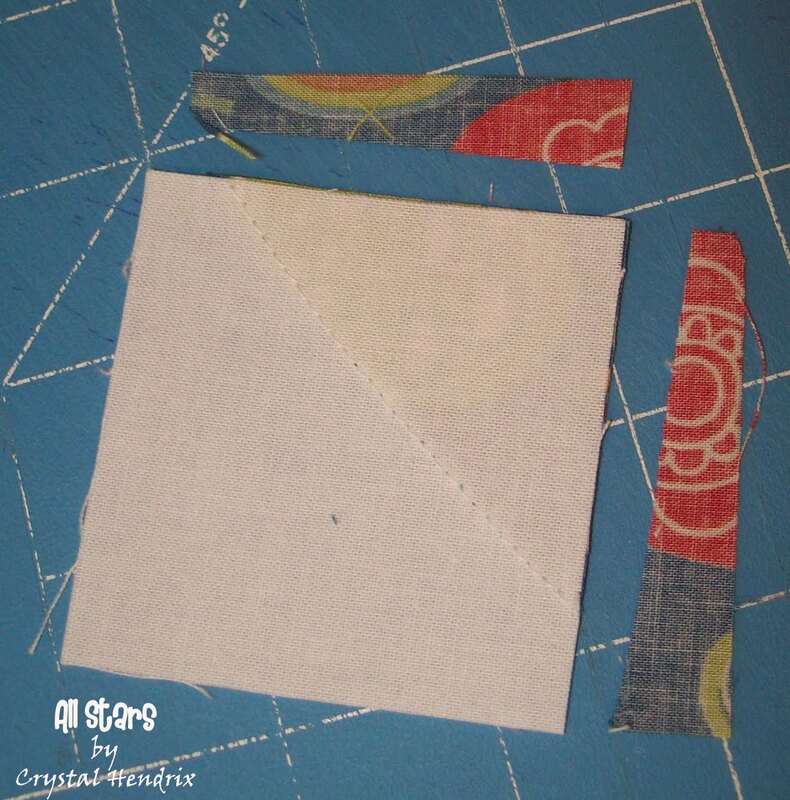 Sew together and press. 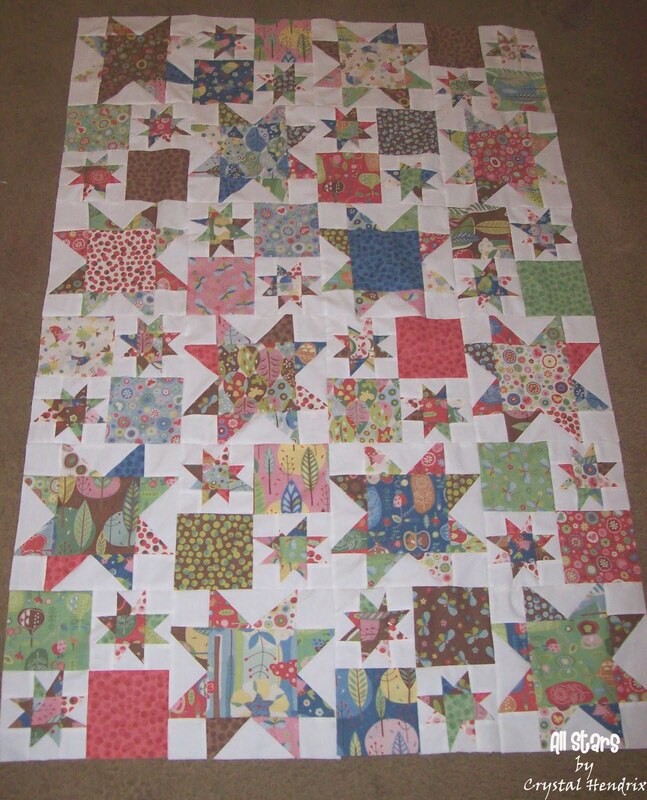 Now baste, quilt and bind as desired. 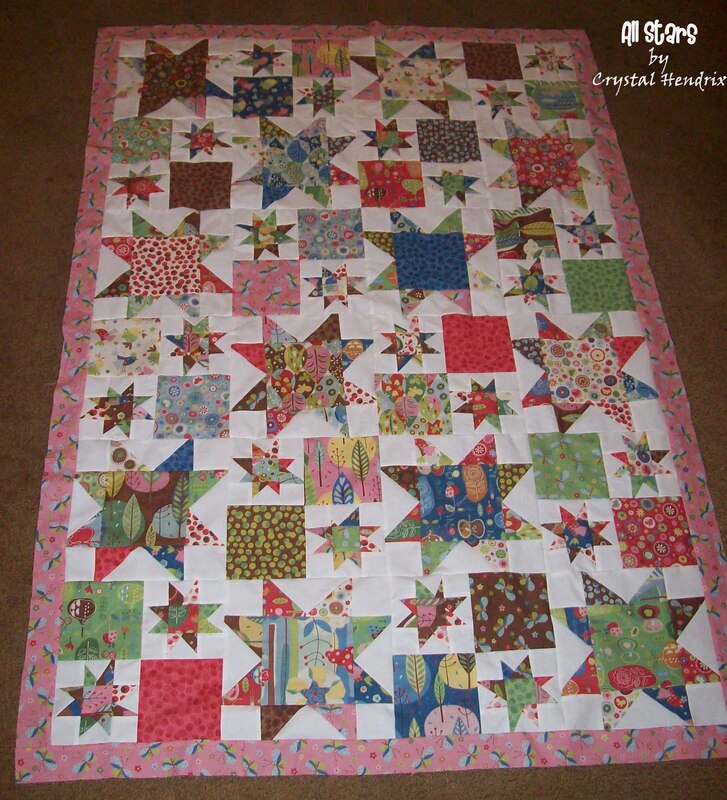 One beautiful and bold 64″ x 88″ quilt. 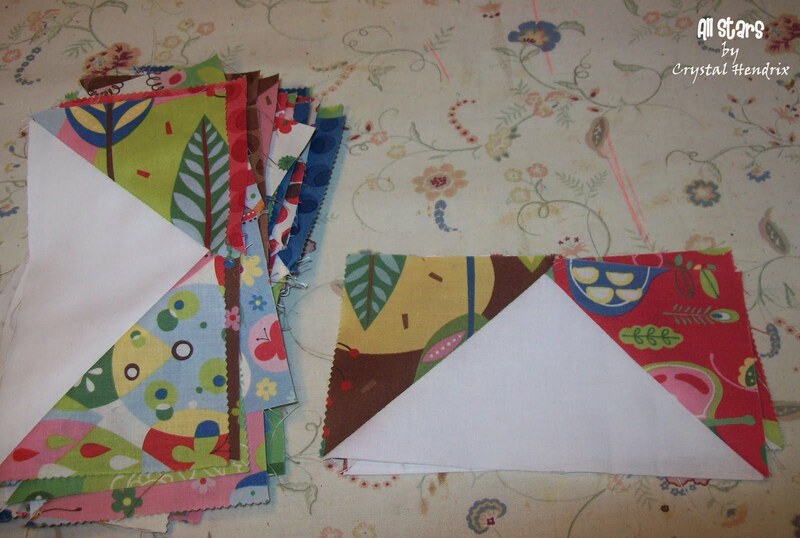 If you’d like, head over to Piece N Quilt to buy a prepared kit. 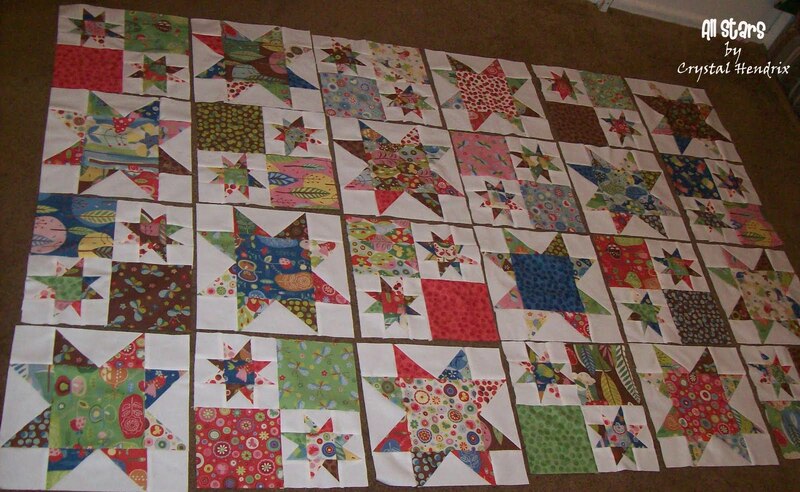 I also would LOVE to see your finished quilt. 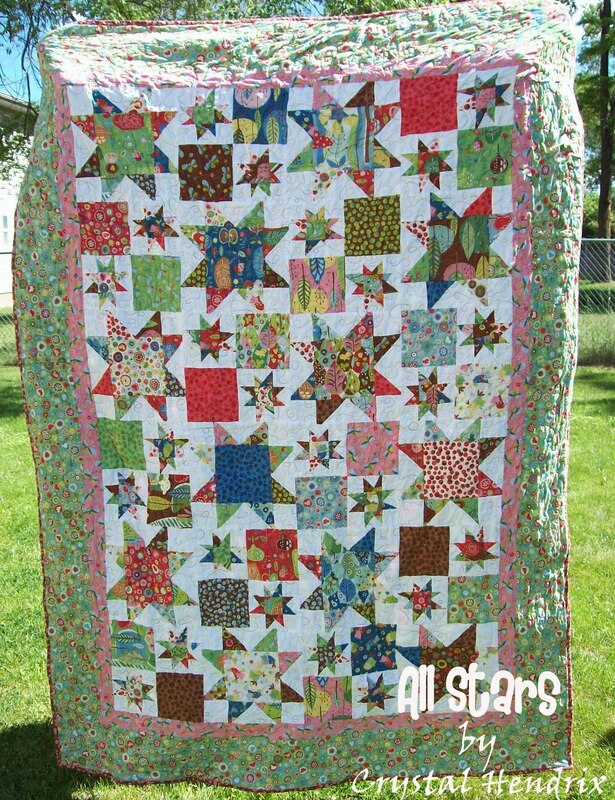 Feel free to send an email with a picture of your beautiful quilt to me at nmommy02(at)gmail(dot)com. 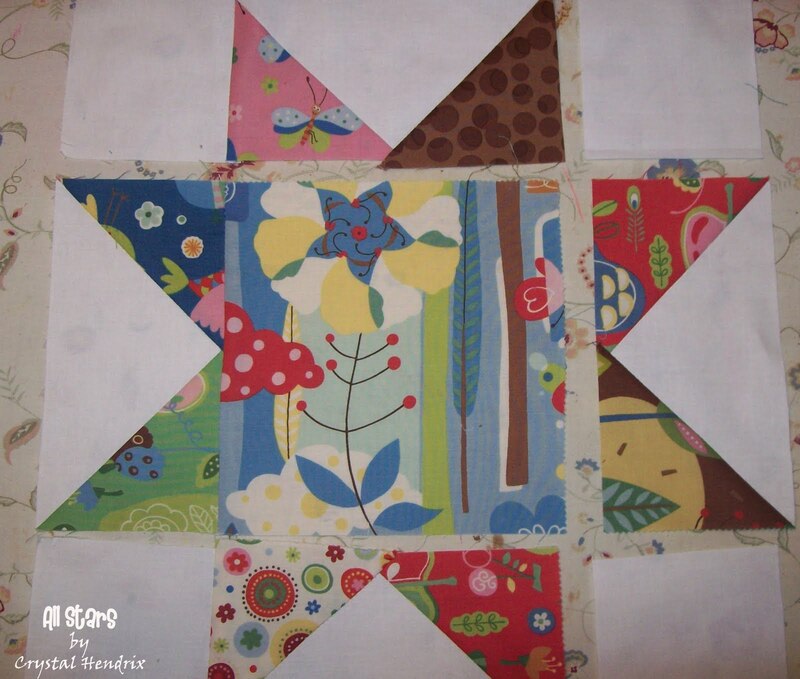 This entry was posted in Layer Cake, Moderate, Quilt and tagged Keiki, Tweet Tweet.